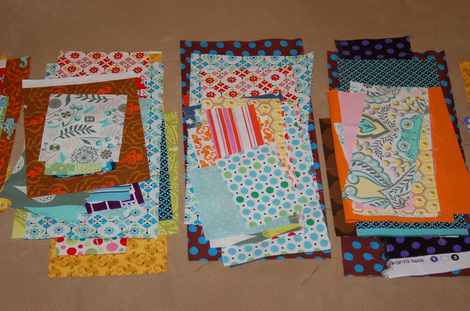 We'll be making 20"x30" blocks for a confetti quilt. I made a gallery on Flickr to give you ideas. There are pieces in your scrap pile that are way bigger than you need. Feel free to keep all scraps. I love collecting little scraps from bee members and there is some Mendocino, Prince Charming, Picnic and Fairgrounds and other goodies in there! 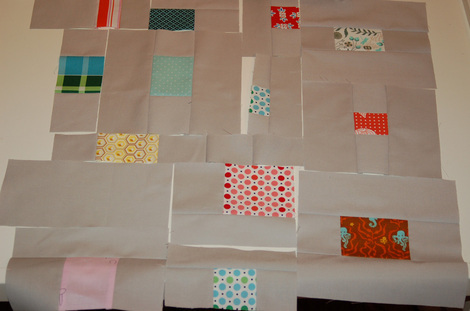 Once you have a layout you like, fill in with some negative space (Kona Ash) and start seaming together. 1. You will have a lot of seams. Try to minimize unnecessary seams so things don't get bulky. 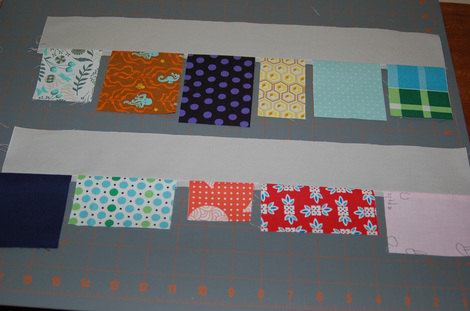 It will make it easier for you while piecing (and me while quilting)! 3. Aim for 10 - 18 scrap pieces in your block. There are 15 in my block. 4. You might not have lots of extra Kona Ash. I had to work carefully near the end to get my block to size without running out. 5. You can click on the pictures above to make them bigger and easier to see. Sound good? I'm excited. Let me know what you think or if anything is unclear! I cannot wait! I love this quilt and the freedom of piecing like this! GOOD CHOICE! This page contains a single entry from the blog posted on July 31, 2011 10:00 PM. 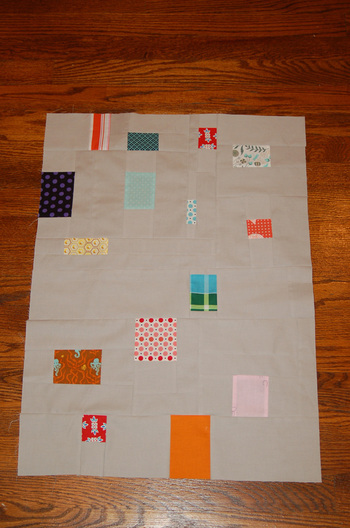 The previous post in this blog was Sew Bee Wonky block. The next post in this blog is Summer Cabins.